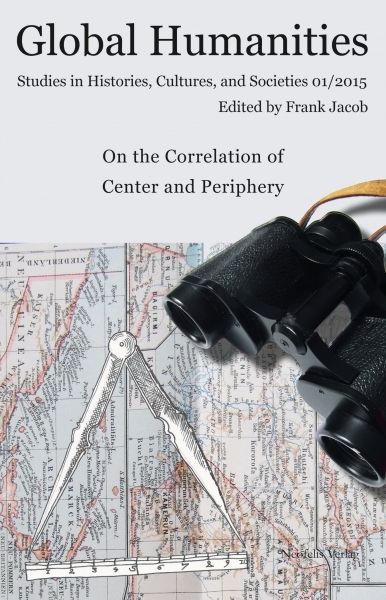 The analysis of the relationship between center and periphery is one of many theoretical approaches found in all fields of the Humanities. Looking at this special relationship from several disciplinary perspectives is an effective methodology for establishing connections between various fields of study. Consequently, the issue contains articles dealing with, among others, the Russian enterprise in Alaska, German polar exploration, gender in Islamic contexts in Europe, labor relations, ‘economic securitization’, cultural nationalism in Ghana, and Robert Rodriguez’s movie Machete. The historical perspective of cultural reception, the economic relationship between central and peripheral areas as well as the development of stereotypes as a consequence of the exchange between both areas are also part of the discussion. The first issue of Global Humanities therefore provides a broad outlook on the periphery-center relationship, giving the interested reader an insight into the different working fields of several disciplines within the Humanities. It furthermore can be considered an argument for strengthening interdisciplinary work in the future, highlighting the interconnectedness of history, literature, art, politics and many other disciplines. Mit Beiträgen von Liony Bauer, De-Valera N.Y.M. Botchway, Julia Brühne, Cathrin Cronjäger, Solveig Lena Hansen, Julia Harnoncourt, Henner Kropp, Ingo Löppenberg, Dina Mansour, Christoph Mohamad-Klotzbach, Oliver Schlenkrich, Jeffrey M. Shaw, Evangelidis Vasileios und Kyle J. Wanberg.